1945. The vote in the House of Lords as to who should inherit the Barrington family fortune has ended in a tie. The Lord Chancellor’s deciding vote will cast a long shadow on the lives of Harry Clifton and Giles Barrington. Harry returns to America to promote his latest novel, while his beloved Emma goes in search of the little girl who was found abandoned in her father’s office on the night he was killed. When the General Election is called, Giles Barrington has to defend his seat in the House of Commons and is horrified to discover who the Conservatives select to stand against him. But it is Sebastian Clifton, Harry and Emma’s son, who ultimately influences his uncle’s fate. In 1957, Sebastian wins a scholarship to Cambridge, and a new generation of the Clifton family march onto the page. After Sebastian is expelled from school, he unwittingly becomes caught up in an international art fraud involving a Rodin statue that is worth far more than the sum it raises at auction. Does he become a millionaire? Does he go to Cambridge? Is his life in danger? Best Kept Secret will answer all these questions, but once again, pose so many more. 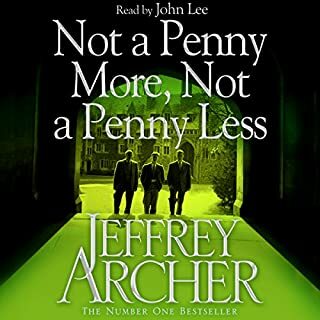 The third installment in the Clifton Chronicles audio book delivers another engrossing and engaging installment. Briliiant narration, plots that continue to twist and turn. You continue to be kept guessing on what will happen next. Broad collection of characters, but always easily identifiable. Keen to hear the next installment. Highly recommend!!! 🖑5 out of 5 on all fronts. 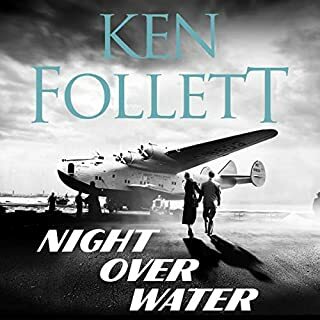 Just could not stop listening until finished. Always another twist to the story. Very exciting. 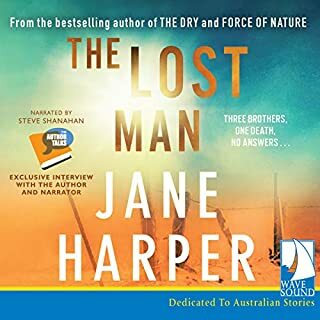 Enjoyable to continue the story, and the audio is well presented, easy to listen too. A fantastic series so far. Never a dull moment. Clifton Chronicles. bk 3- give me more ! the story just has twist after twist. love it. Alex Jennings does it with the right passion and accent for allege characters. 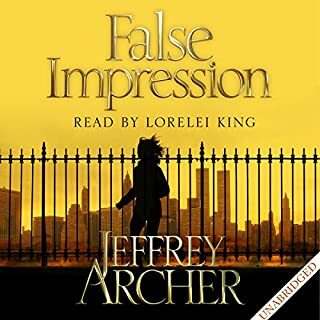 after 3 books I can tell which character is speaking before his says. excellent. Can't stop once you start! 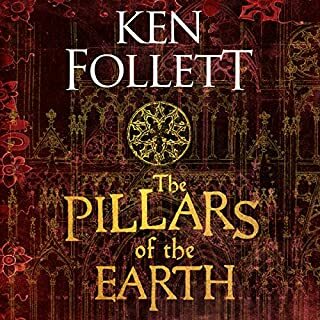 Another awesome book in this series.... now that I've started I can't stop. Gripping characters and a moving story line. Compelling to the last word. Love the Clifton Chronicles series, have read them previously, but I really missed Emilia Fox reading in this one . I enjoyed the first two books of the Clifton series but this one seemed forced and awkward. I found the characters unsympathetic, the plot unrealistic and the narrative tedious. 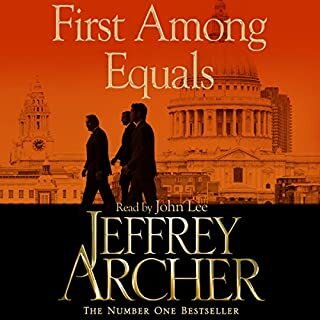 If you’ve listened to books by Jeffrey Archer before, how does this one compare? Easily the worst. I usually get sucked into his stories and carried along by the fast paced stories but this one dragged. I found the narrator pretentious but competent and clear diction. I hope number four will be back to the standard of the first two otherwise it sullies your initial positive impression of the series. Got tired of the soap opera feel of this series. I read 3 of the series in a row and this will be my last purchase. I may come back in years to come but I am over it at this stage. The story overall is entertaining and I would probably have continued if I didn't feel so "milked" by buying a set of chapters rather than a book. What did you like best about Best Kept Secret: Clifton Chronicles, Book 3? What did you like least? The best part was it kept the story going, however, it starts to become very soapy. Compared to volumes 1 and 2 it lets the reader down, it lost my interest in the story. It gets very bogged down in the story and I found myself wishing he'd get on with it and hurry up, a bit like the English Cricket Team. Jeffery should've released the volumes sooner as I found myself trying to remember the story. Would you recommend Best Kept Secret: Clifton Chronicles, Book 3 to your friends? Why or why not? You'd have to recommend it only to get to the end of the saga. Can't remember any scene that was a stand out. No, a movie wouldn't be able to capture all the detail in and would leave the reader disappointed. It would end up becoming like Unbroken by Laura Hillenbrand, book vs the movie - score 5 and 0, like many other adaptations. Angelina's movie Unbroken didn't do the book justice and I would fear the same would happen if this was turned into a movie. But isn't that true of most movies and books. 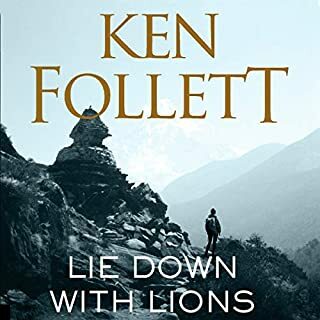 This far into a series of books it would be expected that the story might be losing some of its direction or interest but not at all. I really can’t wait to download the fourth book. 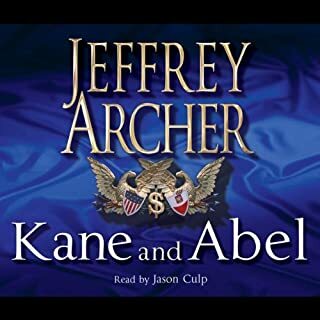 Archer is a good story teller and every chapter is necessary and engaging. As always; can't stop listening!! 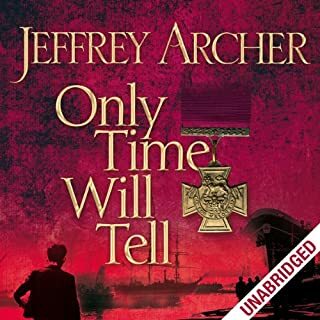 Only Jeffrey Archer can weave such a fine tale with so many twists and turns and keep it believable with incredible suspense. Thank you, cant wait for the next edition!!! 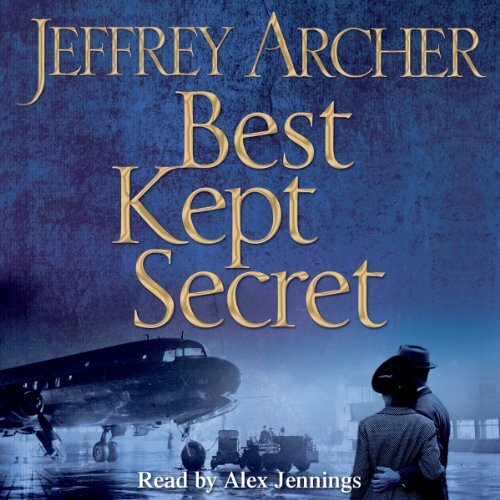 Would you try another book from Jeffrey Archer and/or Alex Jennings? He is good for the book. This book is too much of a drag. In many instances I felt the author should just move on and spare us the boring details. The story has still much interesting parts but it is over stretched. 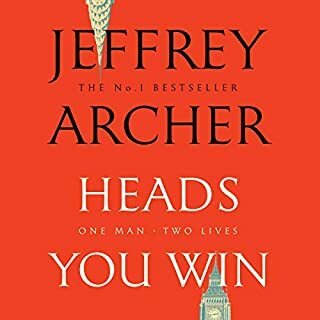 Loving the series and Alex Jennings narration. 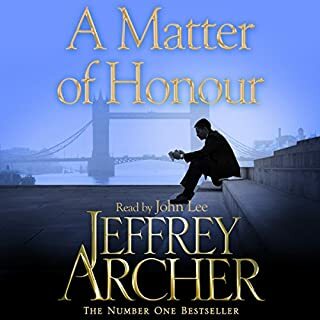 Jeffrey Archer is one of my favourite authors.. If you could sum up Best Kept Secret: Clifton Chronicles, Book 3 in three words, what would they be? What was one of the most memorable moments of Best Kept Secret: Clifton Chronicles, Book 3? Excellent story, really good plot line kept me hooked till the end. The narration and characterisation was very believable and I would quite easily listen to it a second time. Highly recommended! 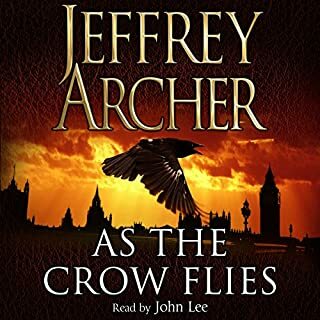 I have just listened to this, having waiting on tenterhooks for this sequel to be released! 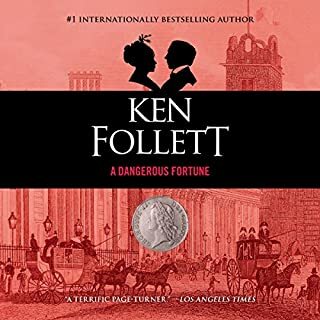 I felt quite uneasy in parts of the novel because I was so 'wound up' in the fates of our family that I could see disasters falling, and I became tense .......... having finished it over two days - I am now WAITING FOR THE NEXT PART!!!!!! 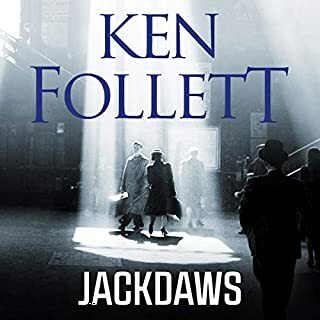 Really a gripping tale - I really care what happens to the Cliftons and the Barringtons .... Lots of intrigue, lots of clever plans - but now ..... How long until number 4. 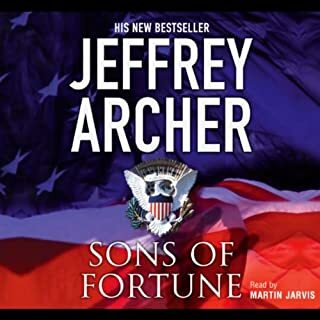 The Clifton Chronicles has been a 'good story' and that's what you expect from Jeffrey Archer. At no point was I on the edge of my seat or listening all night because it was so exciting. You get to know the characters and can relax into the book. The narration is very good but I did find this part of the saga a bit lazy as it just became a bit boring and I lost interest a few times. All a bit far fetched but I will still read the next one! loved this book and couldnt wait to move on. love chronicles because i am not sad at the end but cant wait to start next one in series. 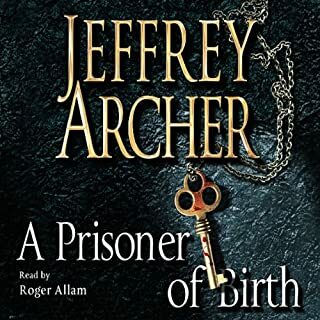 The 1st book was cracking, 2nd pretty gripping too but was detecting Archer wanted to get to the end...3rd was almost paper thin...came over to me as if he'd got bored of the subject...1st book was thick and attention to detail with conversations between the character, this last one was listening to an abbreviated strory...going through the motions springs to mind because the publishers have paid up front? 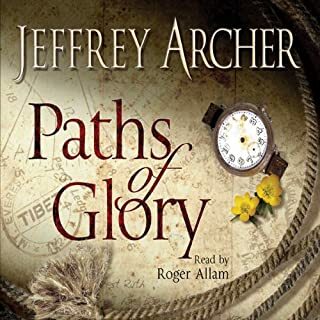 I really enjoyed the first two books in the series of the Clifton Chronicles, having followed Harry Clifton and his friends and family from his disadvantaged childhood into his boys-own adventurous adulthood. The third book was going well as we learned what happened about the Barrington legacy, even though the characters are either very good or very bad. But then it went completely off track into another world of gangsters and smuggling and I lost interest at that point. I hope with the fourth book we return to the lives of Harry, Giles and the whole Clifton/Barrington clan. Really annoyed - thought it was only 3 parts now I have to wait for the 4th part - quite a page turner! I love the book and, in fact, the series. The cliffhanger ending is also cool and guarantees that I'm getting the next series. I'm glad it hasn't been as predictable as I feared. For instance, I initially thought that Don Pedro's package contained hard drugs - the usual! Thankfully, it wasn't. Admittedly, there were parts of the book that weren't exactly high-octane, nerve cracking. But all in all, a very interesting read, much like a good action thriller movie. OMG! I cannot believe it! He’s done it again. Left me hanging from a cliff until I can get the next instalment! What a fabulous set of stories that have you thrown from one daring event to another. I would absolutely 100% recommend this series. Fantastic narration too. Utterly brilliant.